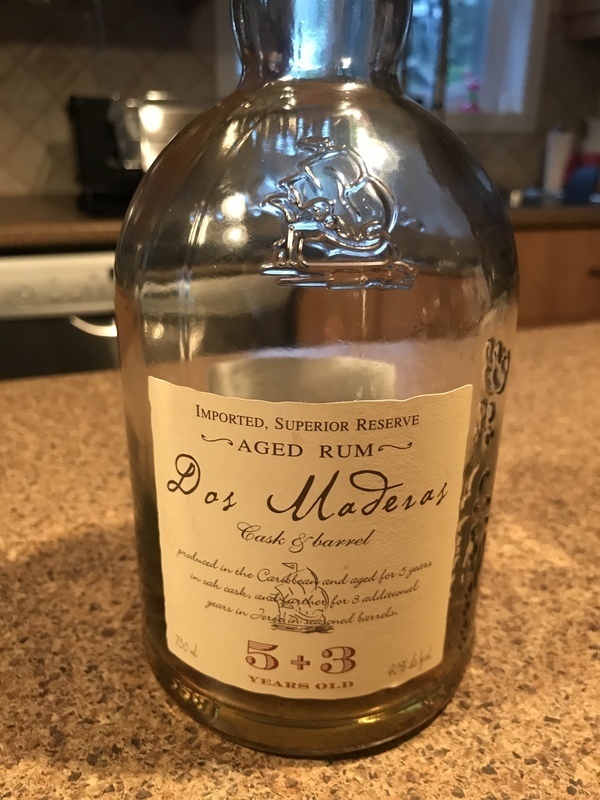 Have you found an online vendor selling Dos Maderas 5+3? Ocakaval som lepsiu chut. Chuti dost po vanilke. Oproti 5+5 je to sklamanie. Svetla farba uz vopred napovedala, ze rum nebude mat vyraznu chut. Vona jemna, citit sudy od sherry PX, v ktorych rum zrel 3 roky. Chut suchsia, alkohol sice nepreraza nejak extremne vyrazne, ale rum nema telo a nieje nicim zaujimavy. Dochut v ustach neostava ziadna. Par rokov v sude by mu este prospelo... Nic vynimocne medzi premiovymi rumami. Not a sweet rum. I prefer the 5+5 better. This one has less flavor in it. For this price there are better ones available. 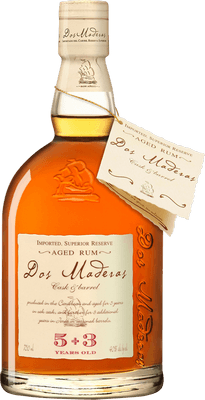 I really like this rum but there are so many other choices that are finer (more aged) taste; Foursqaure/RL Seale come to mind. Je suis un grand admirateur des Dos Maderas, mais avec seulement 2 ans de moins d'élevage que le 5+5. il y a un monde de différence. 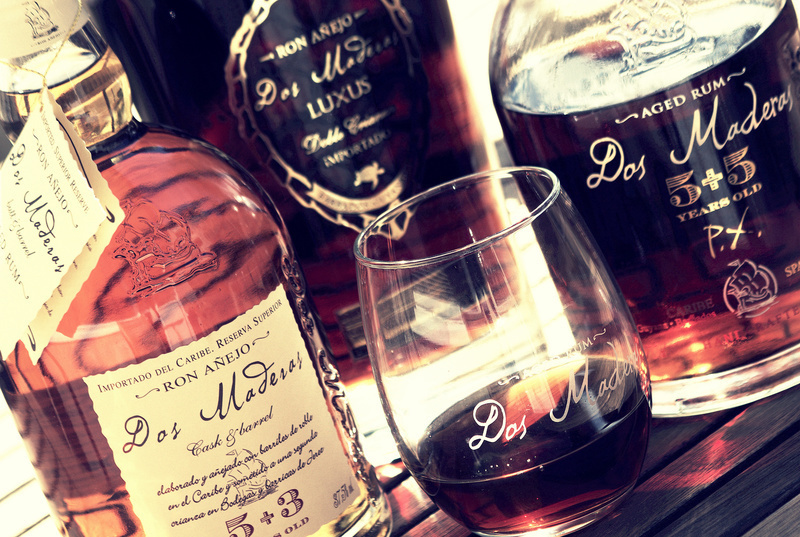 Ce rhum est beaucoup plus claire, avec un alcool très présent qui réchauffe et il est beaucoup moins rond. On retrouve un peu arome de caramel et il a un coté fumé. Je me serais attendu à beaucoup plus de cette maison. Aucune complexité, un rhum avec peu d'intérêt. Je suis un peu déçu par rapport au 5+5 que j ai classé 10. On goûte le chêne et les noix. Finale moins longue et mon complexe que le 5+5. Il n 'est pas mauvais mais on est mieux de viser le 5+5. Purchased a sample from Master of Malt for about £5. Much fresher and more oaky than the others in the Dos Maderas range. There's definitely grassy notes coming through I would much rather be drinking the 5+5 or Luxus 10+5 to be fair. But this would work well in juice based cocktails. This rum isn’t for everyone, but it has a lot to recommend it. Finishing in sherry casks adds delicious layers of dried fruit on top of the smoke and leather underneath. This rum is a great find. Loving already it’s brother PX 5+5, I tried this rum and it didn’t dissapoint. 40% ABV. No nose. Seriously… smells like nothing. If I swirl and inhale vigorously, I get the faintest hint of caramel. Wouldn't say sherry if I didn't already know it was there, but it's identifiable in the "after-smell," if that makes any sense (note: I think this means on the back end or finish of the nose). Huh. Palate is agreeable. Still a little light in flavor, which I would characterize as both deep and hollow. There's wood, for sure. Reminds me a tad of MGXO, perhaps, or ST1796? But a little "prickly" like a dry sherry. Strange. As usual, it gets better over time, but still smells like nothing. When considering the Dos Maderas lineup, I decided to try this one first, and then if I liked it, I'd also try the 5+5. But this one was such a big disappointment, I wish I had just tasted the 5+5 instead. Now, I'm not interested in anything below Luxus (which I've heard is lovely). Just nothing to get excited about here. sherry flavor clearly dominates this rum, so in case you like Sherry this might be interesting. However also a clear alcoholic burn. Hij is zacht doch stevig. Ontzettend lekker bij een dessert. So hard to say its very bad. But there are sure better ones. I had high hopes on the Dos Maderas PX 5+3, but the burn is very off putting and the flavor is a mixed bag of a lot of individual things without anything really shining through. I tasted both the PX 5+5 and 5+3 back-to-back and I have to say they are very close to each other with the 5+3 having a bit more burn over its older sibling. Jeden ze dvou rumů v mé "skříňce", který nehodnotím na základě alespoň jedné celé vypité flašky. Na rozdíl od Captaina Morgana jsem tenhle ale rozhodně nemusel jít vyplivnout, jen jsem od kamaráda dostal zbylou asi třetinu láhve jako varování, abych zbytečně nevyhazoval peníze za verzi 5+5, což jsem tehdy měl zrovna v úmyslu. A vskutku - ušetřil jsem - dík! Nebylo to nic špatného, ale také nic moc dobrého, což u mi kořalky za cca 700 Kč přijde málo. Incuriosisce il fatto che venga fatto stagionare gli ultimi 3 anni (degli 8 totali) in Spagna. Sapore morbido, ma tendente al secco. Je to sladký rum. Výborný v kombinaci se slanou čokoládou. Smager okay. Dufter dejligt og har en okay eftersmag.